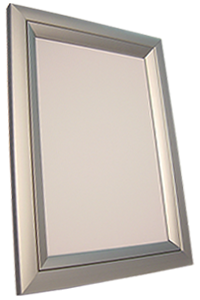 This extra robust 43mm all aluminium clip frame is a sturdy and dependable solution to repeat-use display needs. The patented steel spring clip system ensures years of trouble-free operation. Standard Sizes to order.